If you’re moving to the area, the quick-reference guides below will help make the move a little bit easier. 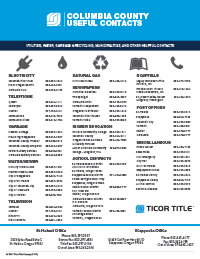 Our Local Area Guides provide useful contact information including electric, phone, garbage, water/sewer, television, cable, gas, schools, and more. 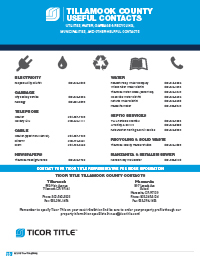 Download the Tillamook County Utilities and useful contacts guide here. Download the St. Helens/Columbia County Useful Contacts Guide here. 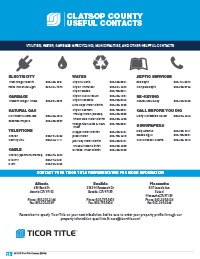 Download the Clatsop County Useful Contact Guide here.